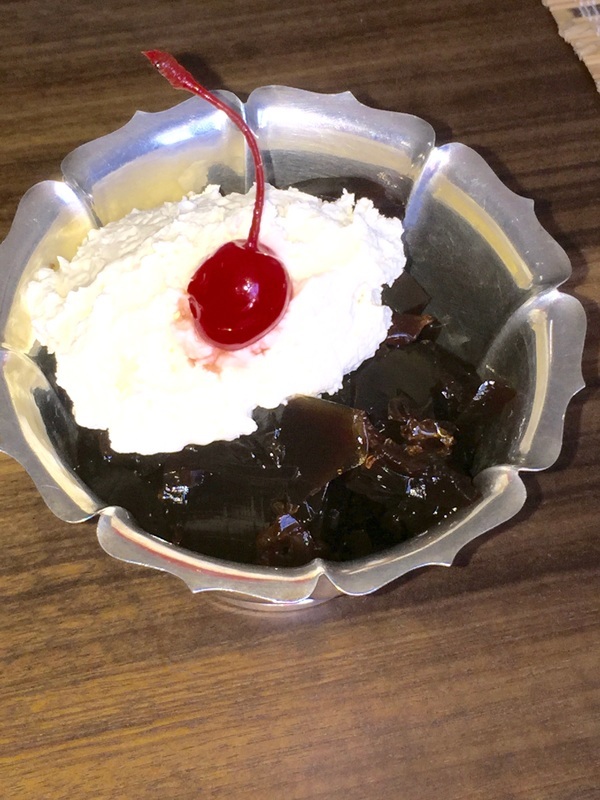 I have added more recipes to Make Your Own Ice Cream and have updated the cover. This should come through soon. I hope you like the changes. I have been wanting to make a Buttered Popcorn ice cream for a long time. And I have finally worked out a way to do it. All by the help of a special ingredient from my lovely partner Anne. She brought home this amazing tea and that tea was the missing link. Warmed the milk with the tea in a strainer and let it cool for an hour, with the tea still sitting in it. Giving this ice cream to people to taste, the comments I got: "This is amazing" and "It brings a tear to your eye, its so good". This was one that was very hard to share, but worth it when I did. Look for it latter on in my book. 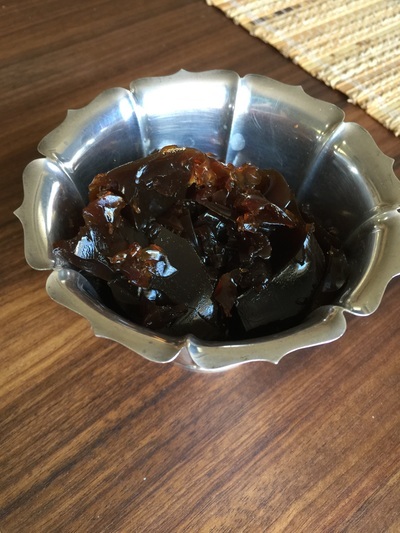 We were using gelatine the other day and wondered if you could use it to set coffee. Well let us tell you, you sure can. And we whipped some cream to put on top. It was like having a jelly latte. It comes out better then you would think. We just made 2 cups of coffee and added sugar to taste. Then we followed the directions on the gelatine packet. Placed in refrigerator for a few hours and it was set. 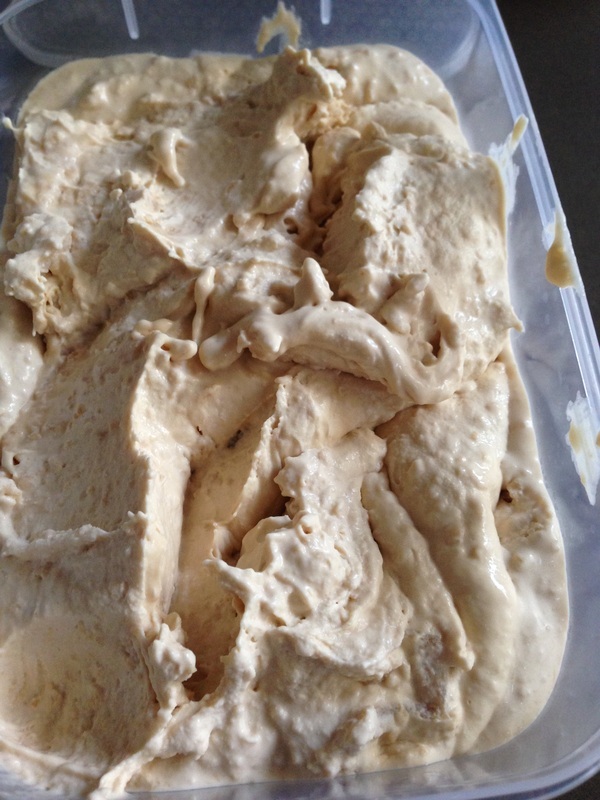 I wanted to make a liquorice ice cream, but I did not want to use and essence or a liqueur. So I bought some soft black liquorice. I picked a good quality one. I first tried to see what it was like to soak the liquorice in milk. So I put a few pieces in a glass jar with some milk in it, and left that in the refrigerator over night. The flavour was starting to come out and into the milk. So I added more pieces into the milk. What the milk also did was really soften the liquorice up. I was able to use a hand blender to blend down the liquorice. Ever try to do that with normal liquorice? It just gets stuck on the blade or the side of the blender. But after soaking in the milk, it blended down into the milk. I added the cream in. Gave it a taste test. Needed a little sweetness, so I added 1/2 cup of milk. So in the end I used liquorice, 1 cup milk, 600ml cream and 1/2 cup white sugar. Creamy liquorice ice cream. My latest creation, apple pie ice cream. It tastes like hot apple pie with vanilla ice cream on it. Only 4 ingredients to it, brown sugar, butter, 3 apples, and cream. I started simple. I was thinking about adding in cinnamon but glad I didn't. It tastes great just as it is. Lets the few flavours stand out and not get lost. We are always looking for new flavours to try. Or old flavours to add a twist to. We were watching one of Heston's TV shows, and he was mixing a drink. He talked of different combinations of flavours to use. One was brandy and different spices. He added with coco powder to make a hot chocolate. But got me thinking. I wonder how spices added to brandy would taste as an ice cream? I took 60ml of brandy and added some spices to it and left over night, in a small jar. It is now in our ice cream machine. It tasted just how I though it would, before I put it in the ice cream machine. So the ice cream should be even better. We will let you know and add pictures when the recipe is finished. I have been asked by several people, if you can make the ice cream recipes without an ice cream machine. I tested the vanilla bean ice cream. What I did was use a hand held mixer, and got as much air into the mixture, before I put it into a freezer safe container. I checked on it 2 hours later and it was still very soft and runny. I left over night and checked again in the morning. It had been in the freezer for around 12 hours now. Yes it had thickened and yes the flavour of the ice cream was there. But the texture was not. You can feel the iciness in it. 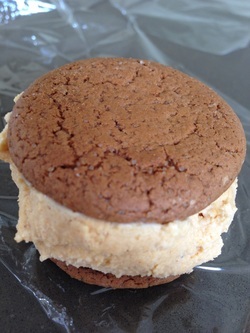 It is not as smooth and creamy as it is when you use an ice cream machine. Also all the vanilla bean had settled to the bottom. To try this again, I would take the mix out of the freezer every hour or so and whisk it, to keep it from icing up and also keep the mix from settling. Looking at how much effort you would have to put in to get some thing a bit closer to what comes out of an ice cream machine, I think I would get one of the less expensive ice cream machines, and save all the extra work. A perfect dessert for our Halloween party. I used the pumpkin pie recipe from book one, and squashed it between two ginger snaps. I also tried using butternut biscuits too. It turns out the ginger biscuits were a bit too over powering for the ice cream sandwich. You lost the taste of the ice cream. The butternut biscuits were much better. More subtle, and just added that little bit to the ice cream. I left for 5 hours, wrapped in plastic wrap, in the freezer, to give the biscuits time to soften. That would be the shortest amount of time you would what to give it. Over night is even better. 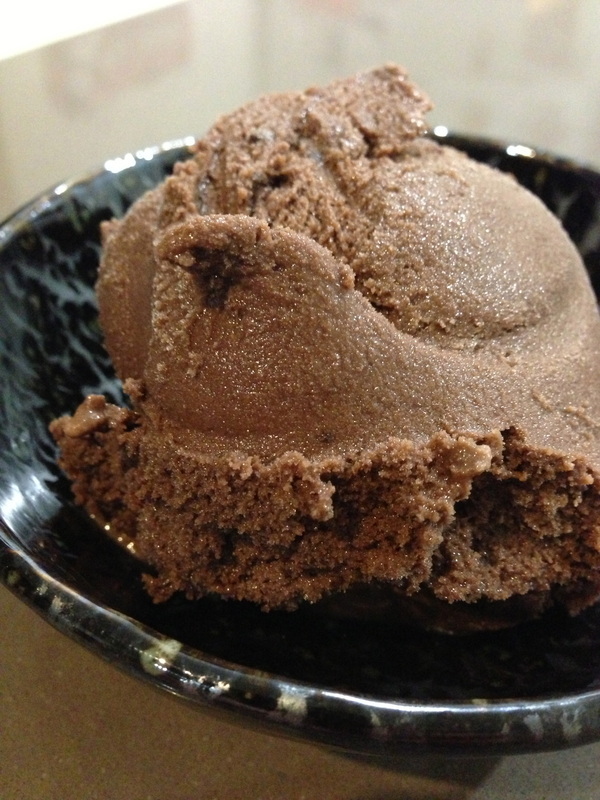 I replaced the milk and cream in my chocolate ice cream recipe, with soy milky soy milk. It worked fine melting the chocolate in a double boiler with the soy milk. Ice cream came out smooth and creamy. I used 1 cup of the soy milk to replace the 1 cup milk, when melting the chocolate. Then i replaced the 2 1/2 cups thickened cream with 2 cups of the soy milk. This gave it a bit more room to let air in to the ice cream, before it would come to the top of the ice cream machines bowl. With the chocolate ice cream working and the normal vanilla based ice creams working too. All the ice creams in my books can be done with the soy milk. Not being able to have milk, just got better.